I enjoy working in a variety of mediums, from editing videos and photographs to design and web presentations, and love exploring new skills. Member of organizing faculty of the Converge Symposium, a series of speakers on the evolution of the communication industry. 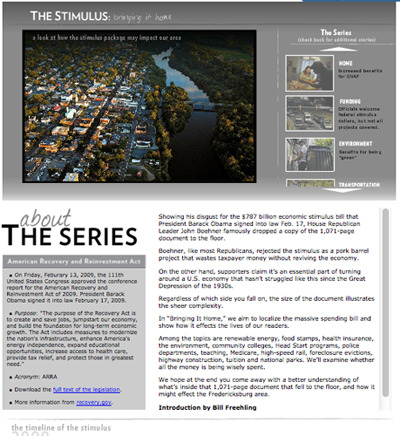 Also designed promotional material for the event. A redesigned logo for the Mid-Atlantic Rowing Conference. I edited video and photographs to celebrate the retirement of Judy, the School of Visual Communication's administrator. 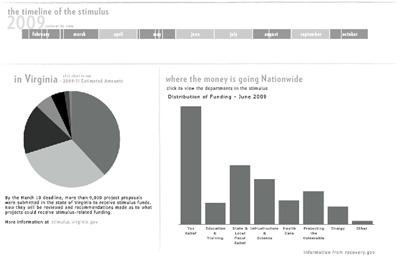 While working as Multimedia Editor at The Free Lance-Star, I oversaw content production and interactive presentation, as well as producing content from interactive graphics, audio slideshows and videos, and photographs, for the web version of "The Stimulus: Bringing it Home", a project where reporters and photographers looked at how President Obama's stimulus plan would affect local residents in Fredericksburg, Virginia. 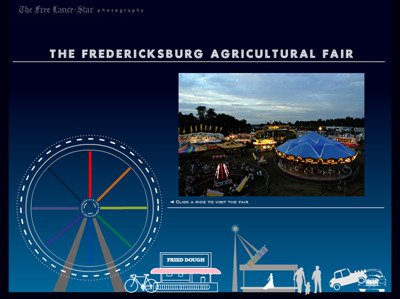 Also at the Free Lance-Star, we decided to have fun with the online presentation of multimedia from the Fredericksburg Agricultural Fair, creating an interface that included slideshows and audio slideshows.